On a dreary and unremarkable Thursday afternoon, I pulled the laces of my left running shoe into a neat bow — just like my grandfather taught me. As I made my way down the steps from my apartment, I began to think about the 10 miles I must power through on May 6. "What have I done?" echoed in my mind. At this point, I was already about three weeks into training for the Broad Street Run. This is around the time when the new car smell starts to wear off. Being a new runner, a few things became apparent as I prepared for Philly's most popular distance race. I learned the painful importance of having the right shoes. In the first steps I ran in my old sneakers, it became clear that I would need to invest in appropriate footwear. My arches felt unsupported, which led to a nagging pain at the bottom of my feet. After a recommendation from a colleague, I made a visit to Philadelphia Runner, where my feet were measured and shoes were recommended by staffers. The difference was massive. I consider running to be a pretty violent sport; my opponent is the ground and there is constant collision between it and my feet. Without the right armor, those collisions will eventually lead to injury. My shoes have become my armor. Once I took a jog in my new shoes, I could run with better form and for longer distances. The next observation that became apparent was the need for a reliable way to stay motivated. I knew early on that I would have to make this exciting, in my own way. So I turned to Lil Uzi Vert for enthusiasm. I needed to embellish my training with a soundtrack that would keep my mind off of my hollering feet and focused on the finish line. Vert's hit song "No Sleep Leak" worked for me. Not only could I run to the pace of the bass-thumping beat, I found that listening to the right music really transformed my approach to training. 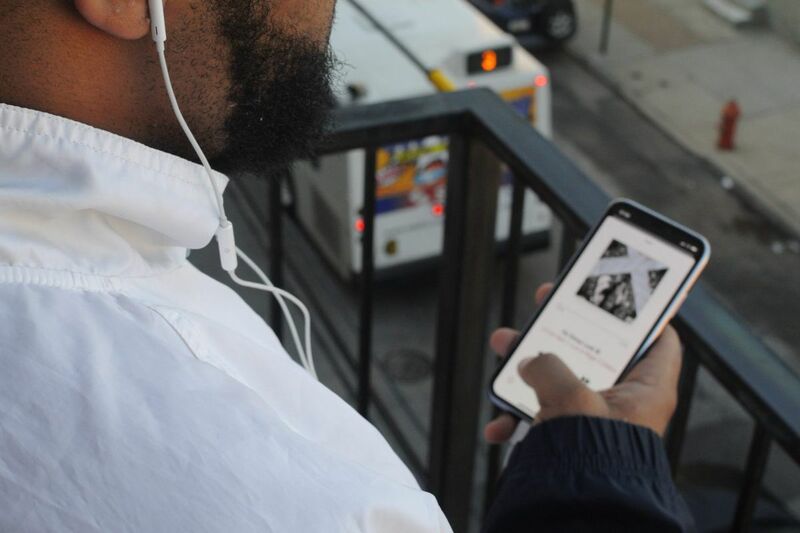 In the chorus of Vert's "No Sleep Leak," the Philadelphia native raps, "I was broke yesterday. I was rich by the morning." For me, Vert's reference to "yesterday" is my day one of training; his "morning" is my race day on May 6. The idea of being broke or rich has nothing to do with money, but everything to do with progress. Being broke could be equated with something that's painful and hopeless (like my feet) while being rich could be paired with achieving goals. "No Sleep Leak" keeps me motivated to be "rich" by running farther than I did the day before. Joel Fish, sports psychologist and director of Philadelphia's Center for Sports Psychology, agreed that music can have a positive effect on athletic performance. "In my experience, mentally, music has a notable psychological and distraction component," said Fish. "Music gets our blood flowing, that's why people like to dance. When you're running, I do believe it can stimulate you to be active." Studies have shown that music can release "natural pain-killers" such as dopamine and endorphins that help elevate mood and can even lead to what's known as a "runner's high." As I mentioned in the first part of this series, running is a mental feat. Physically, you're putting one foot in front of the other over and over again until you reach your goal. But the more devious challenge is keeping your mind focused on the finish line and not on the pain. That's where music comes into play for me. So ditch those canned running playlists housed on streaming services and instead find what songs not only get you into the groove but, more important, also empower you to keep pushing. I know I need every bit of Beyoncé, Coldplay, and Lil Uzi Vert that I can get to keep my feet moving and my spirits high. Note: Some songs on Brandon's Broad Street Running Playlist may be offensive to certain audiences. Use caution while enjoying this playlist by making sure you're aware of your surroundings.